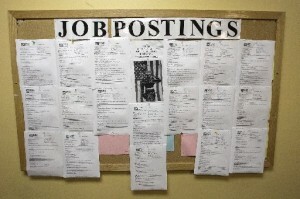 The pace of job creation has slowed considerably the last couple of months and experts are divided on whether job creation will speed up in the second half of 2011. However, some job sectors are doing quite well, according to a Wall Street Journal report published today. Overall, the private sector has added 1.7 million new jobs in the past 12 months, the report says. Computer systems, restaurants and fabricated metals are among the sectors hiring workers. Sectors shedding the most jobs in the last year include government, construction and telecommunications. Read the full report here: Where Have America’s Jobs Gone? This entry was posted in Jobs and tagged computer systems, construction, Economy, government, Jobs, metals fabrication, restaurants, Wall Street Journal on July 12, 2011 by Roger Harris. Workshops on women in the green work force and unraveling the myths of green construction will be held Thursday at the Walters State Center for Workforce Education in Morristown. Both workshops are free and will be held in room 110 of the Clifford H. “Bo” Henry Center for Business and Technology. Reservations are requested. This entry was posted in Green business and tagged building, construction, East Tennessee Clean Fuels Coalition., Green workshops, mythsEfficient Energy Tennessee, Walters State Center for Workforce Education on October 5, 2010 by Roger Harris.